For the past twenty eight years I have painted in oil or worked in watercolor. Before that I worked for over a decade in black and white making pen drawings or linoleum prints. I started to paint in oils in response to the more immediate elements of the world close at hand especially the urban environment of our city and the beauty of the Catskills. I have exhibited regularly at the Hal Bromm Gallery in Tribeca. I have also exhibited work in a wide variety of venues including the Museum of Modern Art, the Moenchehaus Museum in Gussler, Germany and The Place/Kayenberg Design Studio in Hamburg, facilities of the United Nations, the U.S. Capital Rotunda, the U.S. Senate Subcommittee Chambers, St. Peter’s Church in Manhattan, and St Thomas Cathedral in Rockefeller Center, the Brooklyn Center for the Urban Environment, the Abyssinian Baptist Church in Harlem, and the Society of Illustrators. I have artwork permanently installed in collection of institutions including the New York Life Insurance Company, the Brooklyn Hospital, Brooklyn Woods, the Brooklyn Society for Ethical Culture and the Center Light Day Health Center in East Harlem. 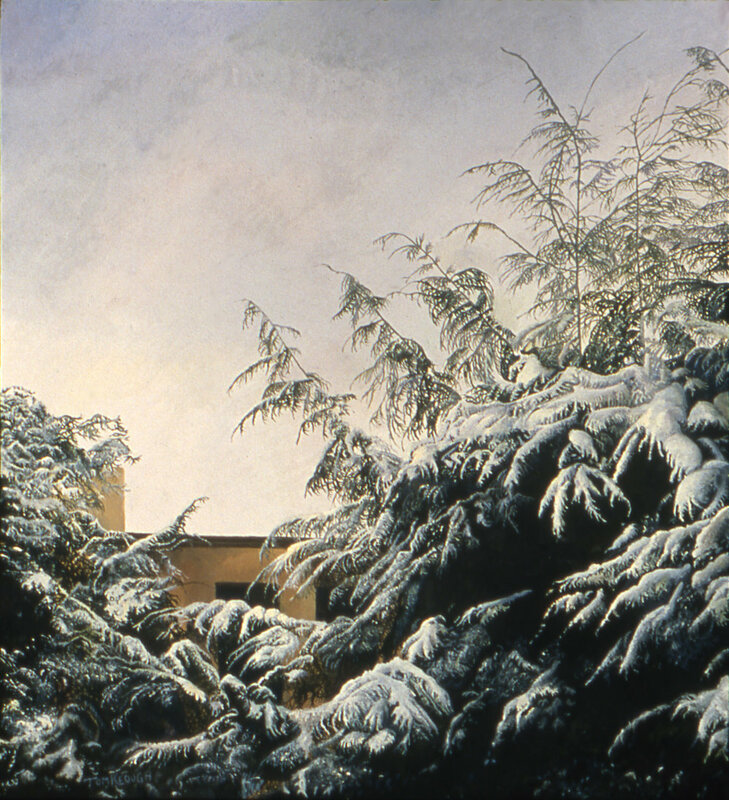 The Addison Ripley Gallery in Washington D.C. installed a large Hemlock print in the U.S. Embassy in Jamaica, West Indies. The Hemlock has been on display in several locations in New York City.